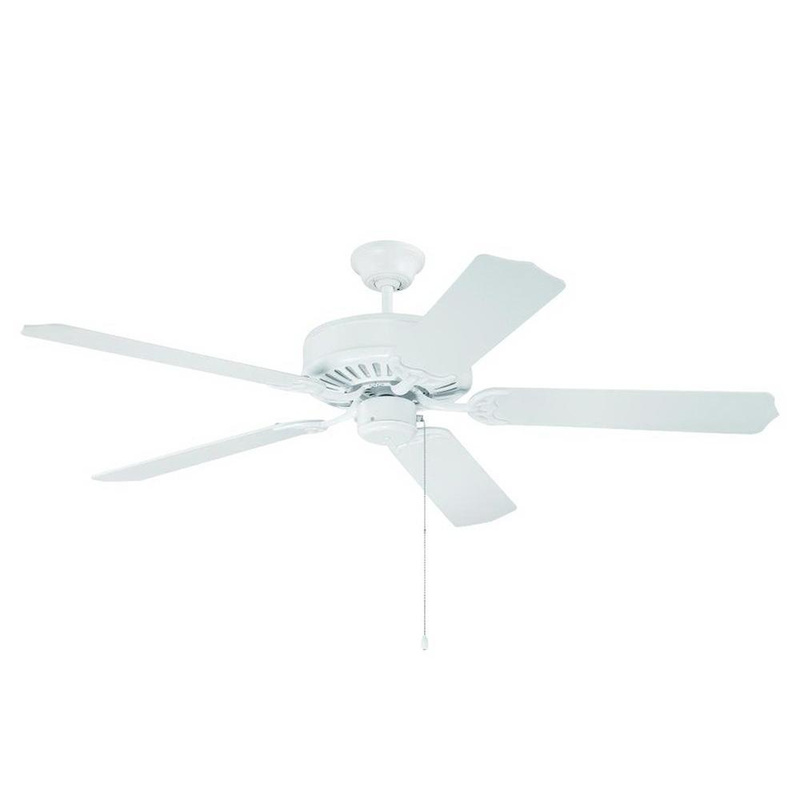 Craftmade Pro builder ceiling fan has five 52-Inch blades to effectively circulate air in large spaces. Fan has white finish housing for corrosion resistance. Blade has pitch of 12-degree. This 3-speed RCI-103 universal remote control fan has flow rate of 4658 CFM. Fan operates at 62 RPM at low speed, 120 RPM at medium speed and 174 RPM at high-speed. It has voltage rating of 120-Volts and current rating of 0.52-Amp at high-speed. Fan has 153 mm x 13 mm AC motor for efficient performance. It is suitable for indoor use. Fan has power rating of 63-Watts at high-speed. It is dual mountable. Fan is cULus listed.